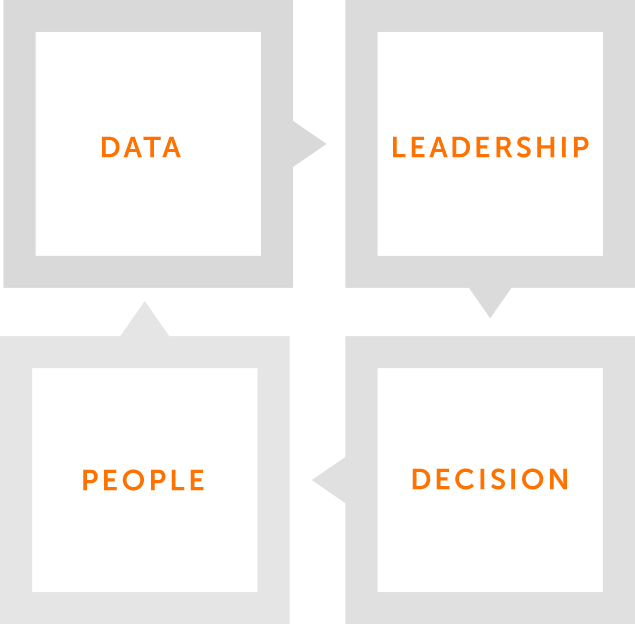 Becoming data-driven company is another key differentiator today and in the future. It is critical for business to increase availability, accuracy, and usage of information throughout organization from top management to frontline salesforce aligning with the measurable business needs. With ROUND2 methodology, we help clients to have complete understanding and be fully prepared on key essential areas before starting of IT solution development as well as before starting the organization & process changes. Business problems and goals are clearly defined including the business success measurement & monitoring. In alignment with the identified business problems and goals, we provide project management and delivery of IT solution implementation. With our strong expertise both on business and technology areas, this allows us to close the gap between IT and non-IT topics. We help reviewing system utilization as well as effectiveness of the supporting business processes. The clients can identify the needed process fine-tuning or system adjustment according to the current organization and market situation. In this “health check” service.